It’s time for a celebration of the Renaissance period! Are you ready for a quick overview of Renaissance artists? 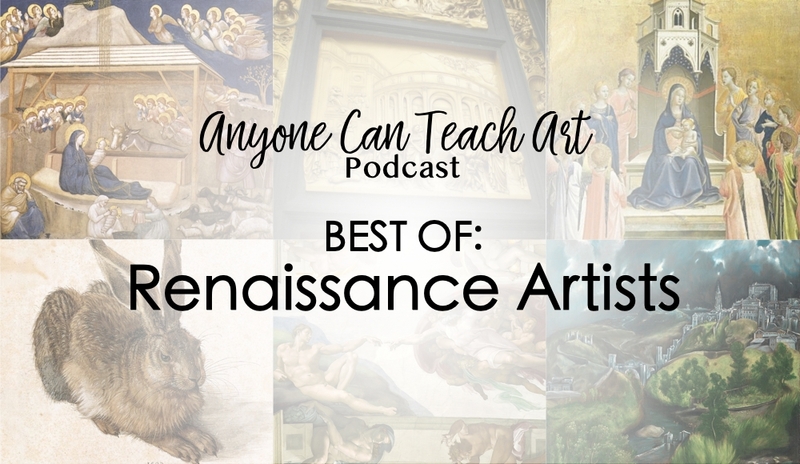 This ‘best-of’ episode is a sample of about 10 minutes of each of our six episodes about Renaissance Artists (#36-41). This will be a great refresher for you and your kids if you listened to those episodes when they aired this past fall, but it’s also a great introduction to these artists. So, I highly encourage you to share this episode with your friends who may not have heard of our podcast. Please note: Starting with season 3, in April, new episodes will be released every other Thursday (not Mondays like season 1 and 2). Interested in Local Art Classes? For info about our local summer art classes visit RidegLightRanch.com/art-classes. Sign up for our local art classes email list! Be in the Loop on my Upcoming Book! Don’t forget to visit RigdeLightRanch.com/book to sign up for updates on my upcoming book and a chance to receive an advance copy of the book!